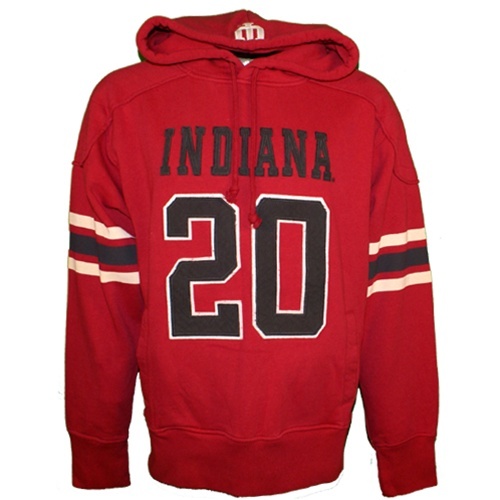 The "Octane" hooded sweatshirt from Colosseum has a great looking retro football look. The front and feature sewn applique tackle twill letters and numbers. 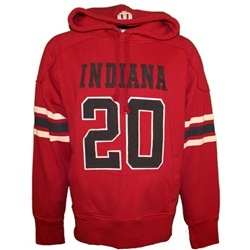 The 20 is for Indiana University's established date, 1820. The twill is purposefully weathered for an added vintage look. 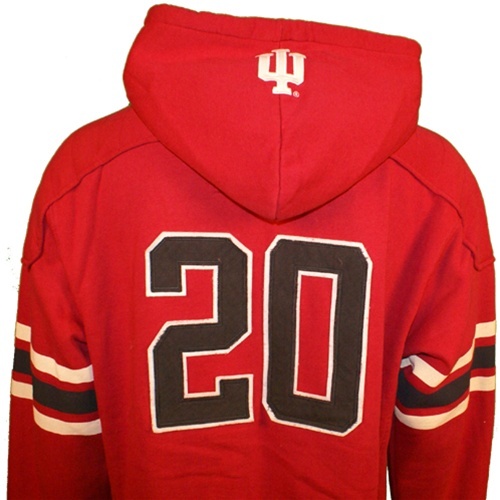 The sleeves feature the screenprinted contrast striping, and the back of the hood has the interlocking IU sewn on. The sweatshirt is extremely warm and soft and very comfortable...side pouch pockets and a drawstring hood. One of our finest sweatshirts! Unisex (mens) sizes.